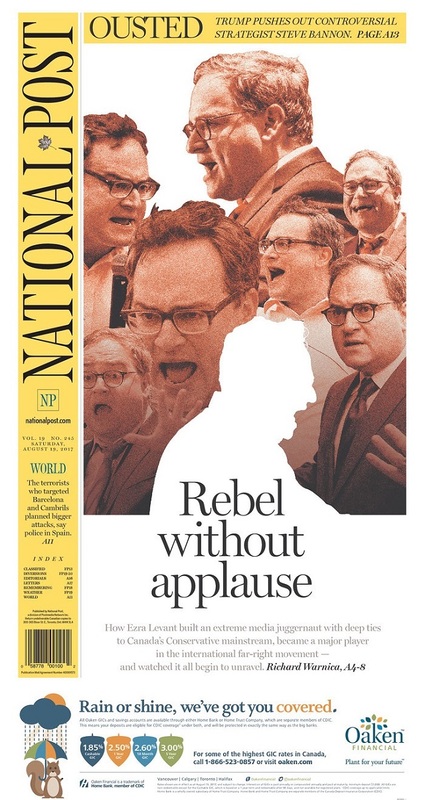 On the front page of this weekend’s National Post, the lead headline cleverly riffs on Rebel Without a Cause, the 1955 movie starring James Dean, Sal Mineo and Natalie Wood. It’s a natural and perfect fit for Richard Warnica’s fascinating feature about The Rebel, a Toronto-based alt-right website launched in 2015 by Ezra Levant. The outlet has been effectively torn apart by the events in Charlottesville. There is significant evidence to suggest “Laszlo” also runs a personal blog called “Vlad Tepes,” a site considered by researchers to be a significant player in the online counter-jihadi movement. Both “Tepes” and “Laszlo” describe themselves as artists and “Schrodinger’s Catholics,” a phrase that appears almost nowhere online except in their respective bios. The two have posted the same interviews with counter-jihadi heavyweights, Laszlo as “exclusives” on The Rebel, Tepes on his personal YouTube page. The Gates of Vienna blog, perhaps the most influential online source for counter-jihadi news, has repeatedly cited “exclusive” Laszlo interviews as products of Vlad Tepes. It’s not clear who is behind either, or likely both, names. The two have always posted anonymously. That said, one clue does exist, hidden in the early archives of the Tepes blog. A copy of the blog’s first post, captured by the Internet Archive’s Wayback Machine, reveals a contact email address: heartofvelcro@gmail.com. That phrase, “heart of velcro” appears effectively nowhere online except in relation to an album of the same name by a retired Ottawa flamenco guitarist named James Cohen. Warnica goes on to outline some other details about Cohen that would seem to confirm this connection. 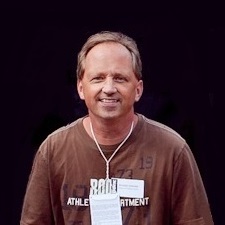 He writes than when the possible link to Tepes and Laszlo was brought up, his email correspondence with the retired musician abruptly ceased. If you’re not at all familiar with Canadian media firebrand Levant, this piece is a wonderful place to start. Warnica devotes a fair amount to the personality’s personal and previous professional life, which includes the co-founding in the mid-2000s of the Western Standard, a magazine that published controversial cartoons of prophet Mohamed.